Ordinary, nice people can carry out acts of violence or cruelty that they would never believe themselves to be capable of. When I published my post, I was going along with the widely accepted cultural view (such as the song by Peter Gabriel and an old episode of BBC Horizon) in the belief that it was all soundly based on the science of Milgram and Zimbardo. Now, while I know that what science sets up is often debunked and replaced later, what has happened since I posted has been quite astonishing. A few years ago, I was looking for a podcast to listen to on my commute, and happened across Radiolab’s “Who’s Bad” show of 9 January 2012 which had a section on Stanley Milgram by The University of Exeter’s Alex Haslam. You can download the podcast on your podcast app, or stream/listen to it on the WNYC Studio’s website using this link: https://www.wnycstudios.org/story/180103-whos-bad. It’s around the 14.42 time mark. Experiment 14, if the “authority figure” is not wearing a white coat, obedience drops to about 20%. Experiment 17, when others refuse to obey, obedience falls to about 10%. Experiment 15, when two people give orders, and disagree with each other, then the obedience rate falls to zero! These variations – and the data in the archives – show that people struggled and resisted with the scenario, even in the most famous variant, the 65% one. The participants were given various carefully written “prods” – not actual “orders”. However, even when using the prod that comes nearest to being thought-of as an order: “You have no other choice, you must go on”, not one person obeyed. All refused being given orders! This is quite the opposite conclusion to the popular view. The popular/ cultural view is a misconception; people are naturally good. In Milgram’s experiments, the data overwhelmingly shows that people were giving the pain not because they were told to/ following orders – but because they wanted to help, to contribute to science. On reflection, I am happier to believe that people are less likely to do harm by following orders. This sets a healthy limit on the power of authority. Having said that, I can only suppose that in a less science-lab setting, order-following might be motivated by fear – which would explain how people can follow orders and do awful things to others; tyranny is not the same as authority, and rebelling against authority is not the same as standing up to a tyrant. It seems that people either think what they were doing is for the greater good, or else they act out of fear. I am happier with this view, it means that people tend to be good, or at least not bad. This is more optimistic and hopeful than the popular (mis)understanding of Milgram – that ordinary people are capable of doing violent and cruel things just because they were ordered to by an authority figure. A lot has happened since I published certain posts, and as all things change – including my opinion, I thought it would be fun (and maybe even necessary) to revisit and refresh this site a little bit. WE JOINED FLIKR BACK IN 2005 JUST AFTER IT WAS ACQUIRED BY YAHOO! My wife and I both enjoy photography – she studied it properly, and I have had a darkroom all my life. It has to be said that the darkroom got used less and less over the years as digital photography has increased. In recent times, we’ve all changed. The world has changed. Other members of the family have also been taking pictures and videos of their children, and more. I recalled that my parents used to have a big cardboard box full of loose black-and-white photographs, small, square Polaroids, wallets with sets of pictures and nagatives in a flap-sleeve. It was heaving with originals taken at countless birthdays, Hogmanays, holidays, Christmasses, Christenings and weddings. Where this box has gone, where these photographs are, I will never know. I suppose many families have similar scenarios. Someone gets the albums, and everyone else loses out. In a photograph of two people, unless a copy is made, one person loses out. This is why sites like flikr.com are so important – a picture uploaded there can be accessed by all the people in the picture anytime. It can be downloaded and printed or saved as desired or required – or merely accessed on a device whenever and from wherever. This is a wonderful development to my mind. The internet and computing in general is often annoying; there are a lot of drawbacks, but when it all can help people, when it can enrich real lives, and record family history and events, then I am all for it. Although I can’t see old pictures of myself and my family, I can certainly make sure that my children and my family can access every picture and videoclip ever taken of them by us from the moment they are born. All anyone has to do is join flikr for free at flikr.com you can sign up or sign in with a facebook, yahoo! mail or gmail account – it’s pretty easy. Then upload some pictures and videoclips. You can drag and drop to upload. Then you can organise the pictures into sets. You can rotate the pictures, and you get the picture converted into all sorts of sizes and from all sorts of formats. You can even manipulate them online – remove red eye etc. It is very cool, and all free. You can upload from phones and tablets and more besides. The biggest problem I found was uploading for the purposes of backing-up. 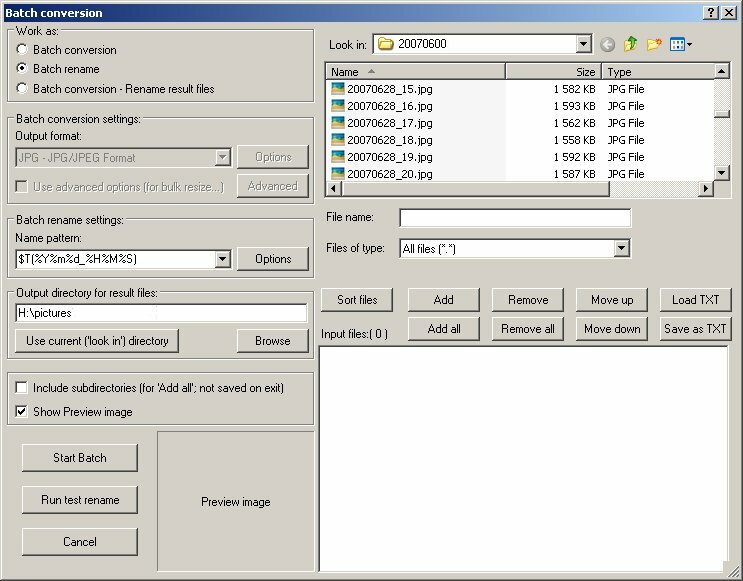 Archiving thousands of pictures and clips was painful – the rate of upload, verification, conversion, and publishing was excrutiatingly slow – and often would fail. I got the official desktop uploader, but that was the same. I tried a few other apps, and was about to either forget it or resign myself to uploading each video one by one over months… when I came across a program written in python that is wonderful. # File we keep the history of uploaded images in. #This is handy if you messed up your uploads before or just want to start from the begining. #Once everything is deleted turn this feature off so you wont keep deleting your pics in your cron job! #SO BE 100% SURE YOU WANT TO DO THIS!!!!!!!!!!!!!!!!!! It’s all free of charge, and nothing bad can happen, so enjoy! Tags: camera, flikr, jpegs, jpg, lifehack, organisational idea, Photographs, photography, photos, pics, pictutes, snaps, yahoo! I AM SLOW ON THE UPTAKE SOMETIMES. I just discovered that Gary Moore is dead. It’s nearly Christmas 2012, and he died at the beginning of 2011, and I have just found out. Why is this stuff not in the news instead of the same old economy, politics and Islamic nonsense every day? Did I know Gary? No, but I have seen him live in concert, and I have met him a few times over the years in “interesting” circumstances. This does not constitute “knowing” him as such, but it’s better than nothing at all, and it’s all I have. Gary was the generation one-up from mine. He was slightly older. I guess it started with the Thin Lizzy thing. A lad in the year above me at school joined Thin Lizzy because of Gary’s sudden departure one day. Yep. This actually happened. The Planets aligned, and Brian Robertson just out of Eastwood High was thrust into fame and (hopefully) fortune replacing Gary Moore in Thin Lizzy. Brian was on the radio and everything — he even started speaking with an American accent. Brian was a smashing blues and rock guitarist. Typical lead guitar stuff; good at poncing about, good at poses, apparently guzzling a bottle of whisky and smoking cigarettes (which were lighted and then wedged into the guitar’s headstock between the strings and the machine heads). But Gary Moore was exceptional. Because of Brian, we listened to Thin Lizzy — and so heard (and appreciated) Gary’s work). It was all cool, and then one day in a record shop basement in Bournemouth in July 1977, I heard Colisseum II. It was blasted through the shop’s loudspeakers. 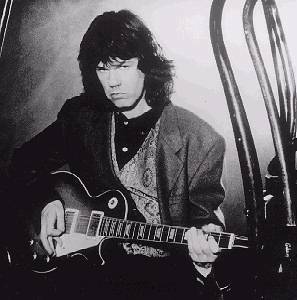 I hovered about until I’d heard the entire album (Electric Savage) – I bought it and was amazed to find that the guitar was Gary Moore! This was not rock, nor blues. This was Jazzy fusion stuff – and live (more or less). This band elevated Gary Moore from the ranks of pretty-good guitar soloists, to a guitar star. Gary had a great voice too, and was fast on the solos, but I have always had a soft spot for his licks, his timing, phrasing and inventiveness set him apart. His musicality lifted him to another level. I have a few of his albums, and would certainly have made an effort to see him live again. I am sad to hear of his death, but sadder for having the feeling that he had in him the capacity for more brilliant music. His death really does mean we’re missing out. BRUCE LEE DIED YOUNG and he died when I was young. He undoubtedly left a legacy, and he had an influence on my own life. First of all, you have to understand the 1970s as a period of renaissance, as probably the most creative burst in human history. That is the context to consider Bruce Lee. The period of time belonging to Arthur C Clarke, Jimi Hendrix, Eric Clapton, Jaco Pastorius, Muhammad Ali, and more. Check out the 1970s and be prepared to be amazed; it’s too big a thing to go into here and now. Bruce Lee belonged to that era, and to the heroes who died young — such as Jimmy Dean, Jimi Hendrix and Jim Morrison. He popularised martial arts in the west – and this carries on to this day. The poses he struck, the noises he made still inform us today — from kids’ cartoons like Hong Kong Phooey, and films like The Karate Kid, to Richard Pryor’s antics in Stir Crazy. 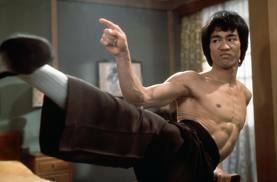 He set the scene for the TV show, Kung Fu which everyone remembers for the pupil being called “Grasshopper”, and for Jackie Chan movies and Chuck Norris jokes. Today, martial arts is simply part and parcel of culture. It is perfectly normal to the point of parody. This is, I think, because of Bruce Lee. Before Bruce Lee, crowds did not attack a single person in films. People did not kick, nor do acrobatics, during a fight. Bruce Lee introduced flamboyant street skills into movie fight scenes. The swashbuckling sword fights of the past were as old hat as wrestling or boxing. The gangster or cowboy guns looked boring too. Lee could fight, including the kicks, but he could also sneak about as a silent, shadowy figure (Ninja), he could run up walls and do acrobatic flips — like the street runners (parkour) and hip-hop street dancers. Bruce would use exotic weapons, and do extraordinary feats with whatever was to hand. This was something to be admired by all men. Lee was small and wiry, so it was all possible – or so it felt. The spiritual aspect tapped into the hippies and those with the hole left from leaving a main religion. Through Bruce Lee, people were tending to their mental health as well as their physical heath. I think he changed the world in a fundamental way, and that he doesn’t get nearly enough credit for it all. Mind you I like the mystique and legends that have sprung up, and the fact that he died young (preserved) was not lost on me either. He was the first celebrity, and one of the first people I had ever seen dead in a coffin — even if it was just a photograph. I took up martial arts and studied those ways for a while — and while I abandoned it all later, I do not regret anything, rather I am glad for it, and I appreciate what it did for me personally. Martial arts and Bruce Lee were important in my development into manhood. 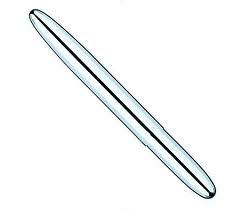 I do believe that it has saved my life on more than one occasion, but that aside, it has been a positive influence on me in myriad ways. So I’d like to simply take the opportunity to thank Bruce Lee here. Thanks, Bruce. ALTHOUGH Marcel Pagnol wrote L’Eau des Collines in Paris in the 1950s, it was set in the south, in rural Provence at the turn of the twentieth century, but it is a timeless tale. Published in 1962, the two books of L’Eau des Collines — Jean de Florette and Manon des Sources — were later adapted by Claude Berri into two of the greatest films ever made. 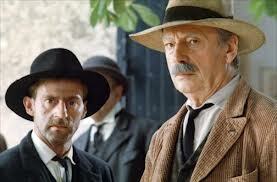 It was in the mid 1980s when I hired Jean de Florette on VHS videocassette tape format from the local video hire shop. It was so captivating that I returned the tape the following day and picked up Manon des Source to complete the tale. It is, for me, terribly French — and I mean that in the best way possible. It reminded me very much of the epic qualities of Hugo’s Les Miserables. That’s what I mean by terribly French in the Best Way. The story is epic (don’t worry; there’re no spoilers here), and will play on your mind for years to come. The French twists and turns, the emotional connections and passions. This is raw humanity, this is beauty and flaws. Great stuff. But Berri takes the history of these people, and makes cinematic magic. The story is baked like a clay pot in the southern French sun, slowly and in great heat. It is paced perfectly – a skill in itself. Apparently both films were made as one project and chopped up into two and released as two films at different times. This makes it difficult to talk of just one or the other; they are one epic tale really – L’Eau des Collines. The film(s) have remarkable sound, gorgeous sets and settings, fabulous light and colours, and the editing and directing are masterly. This is high art; somehow it has all come together. This is cinematic opera. Look at the cast — utterly fabulous! 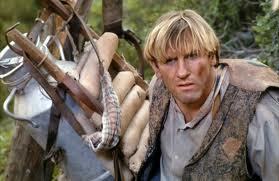 Jean de Florette is played by Gérard Depardieu – and this has to be one of his finest works. His wife at that time, Elisabeth, played his wife in the film, hence the screen magic. In the sequel, Manon is played by the captivating Emmanuelle Béart. But the two real core characters throughout are, of course, the terrible two locals, Ugolin and Papet. Daniel Auteuil as just outstanding as the malleable simpleton, Ugolin, and Yves Montand plays the old scoundrel, Cesar Soubeyran (or Papet) so well it actually broke my heart. Yes, Montand made a grown man cry: me. What a performance! His last film too before he died. Poignant. Jean-Claude Petit did the music, so it was always going to be good, but imagine my surprise to hear Verdi’s The Force of Destiny (La forza del destino) overture… but wait – it’s played on the harmonica by Toots Thielemans! This is utter genius; it links the tales to opera tales, it links the force of destiny theme with the tale of misfortune and fortune of the characters in the film, it is almost accordion – so it Frenchyfes the music, and it so perfectly fits with the mood and feel of the film. Sadly, due to TV ads, everyone thinks verdi-petit-Thielmas’s tune is The Stella Artois tune! But think of The Godfather – the way the music themes weave into the film operatically, to flavour and season the scenes in a cultural way. Cinematically, the Godfather is a very similar project; some values, same base human flaws and empathies drawn from the viewer. Some say Jean de Florette was a brighter, optimistic film because of the Depardieus, mainly the hunchback, Jean – and the fun provided by Papet and Ugolin — and that Manon des Source is darker, being about female revenge. I don’t agree. For me both films have light and charm contrasting with dark and grim – in Jean, think of the struggle for water, and the death scene as dark, while for light in Manon, think of the villagers waiting for water, the coy Manon flirting with the schoolmaster Bernard. The death scene in Manon is one of the most personally significant scenes in cinema; I find it almost painful to watch. For me, it is impossible to watch them separately, you HAVE to watch both for it all to work properly. This is a real masterpiece. Yes, it is in French — but they do not talk much, and when they do it is slow. The acting is all the richer for that, and just like all the very best films, it is all about telling the story. This is a great story, a deep plot with twists. And true to Pagnol, the tale is not merely told by actors, but by music, editing, directing, pacing, lighting, and even the weather and countryside.